Of the 44 people enshrined in the Vintners Hall of Fame (housed in the Culinary Institute of America in Napa), only one has made his career in Santa Barbara. That man is Richard Sanford, who figured out years before people were even sure grapes could grow well in what would become the Sta. Rita Hills, that the region would be the perfect spot for pinot noir. 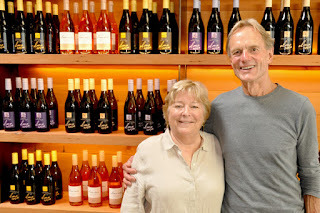 "I've been out proselytizing for forty years," Sanford, director of winemaking at Alma Rosa, says. "I always knew Santa Barbara would be the wine area for Los Angeles just as Napa and Sonoma are for the Bay Area. But these kinds of things take generations -- so much of this is word-of-mouth."